An Ebola vaccine made by Merck has protected a group of volunteers for two years — the longest it has been shown to protect against the disease, according to a study published in Lancet Infectious Diseases. 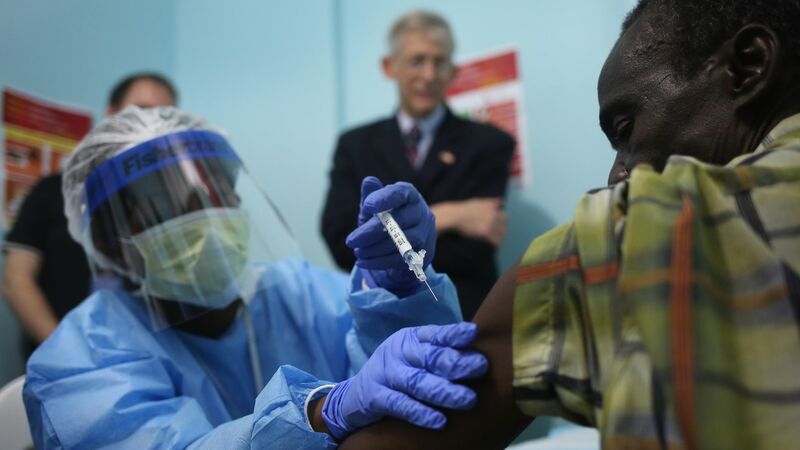 The context: "A fast-acting, long-lasting vaccine given in a single dose would be an effective tool for controlling dangerous Ebola outbreaks," STAT's Helen Branswell reports. Yes, but: The vaccine targets only one strain of Ebola, known as Zaire, and samples from additional trials will be needed to support these findings. What's next: Merck is looking to apply for FDA approval of the candidate vaccine this year. Stay tuned for: The lead author of the paper and an infectious disease specialist, Angela Huttner and her team have collected blood samples from volunteers in Geneva, Switzerland to see how the vaccine performs after three years, but they haven't analyzed them yet. Take note: Some experts in the industry believe a two-dose vaccine, like the ones being developed by Janssen Vaccines and Prevention BV, a subsidiary of Johnson & Johnson, may be better equipped at offering long-term protection.